Russia born Bilate moved to the Netherlands at an early age to play in the youth of Rotterdam based Xerxes. Bilate made his first pro team appearance at Sparta before moving abroad in July 2014. 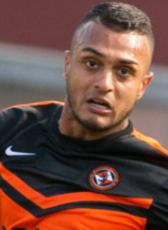 He signed a 2-year contract at Scottish outfit Dundee United. Suffering from a heavy injury in 2015, his contract was cancelled in November 2015. Recovery until spring 2016 seems to be necessary. In the summer of 2016 Bilate returned to The Netherlands and signed a one-year contract at FC Den Bosch where he was reunited with Wiljan Vloet, who he worked with at Sparta Rotterdam. After expiration of his contract in June 2017, he joined FC Emmen on a one-year deal. In July 2018 Mario Bilate changed Emmen for RKC Waalwijk for the 2018-19 season.